Our next giveaway comes with a prize for the daughter in your life. Definitely not for the son in mine. Two winners, each getting their own package of Spaghetti Headz. Giveaway is US only and runs through 1/27. Good luck. 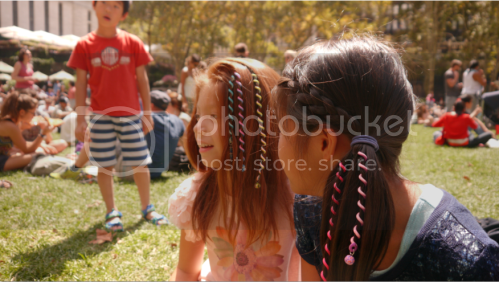 Spaghetti Headz™, by Morphmallow, are the cutest, latest hair accessory for girls! Spaghetti Headz are eco-friendly hair accessories with a great selection of collectible, themed charm packages. You can also have them customized! As with all hair accessories, it is important to be able to take your hair down - you can see just how easy it is with the Spaghetti Headz in this video here. For short hair, the twists can easily be cut to size; and the twist also "encourages creative play where girls spend quality time creatively styling each other's hair." Spaghetti Headz™ can currently be purchased at www.morphmallow.com and will be in many retail stores before the holidays. 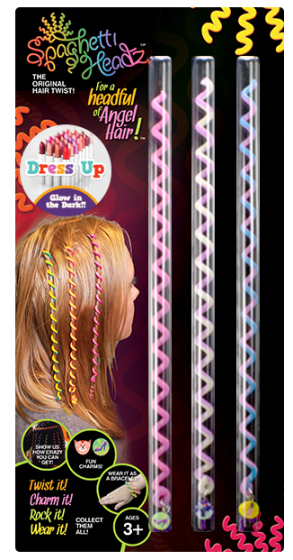 Recommended age: 3+ SRP: $13.99 per pack (3 twists included in each pack). This giveaway will run from January 13th at 12pm CST to January 27th at 11:59PM CST and is open to US residents 18+ only.